AdMaster™ VisTours display listing photos in a compact slideshow display of pans, zooms and light or lively music. 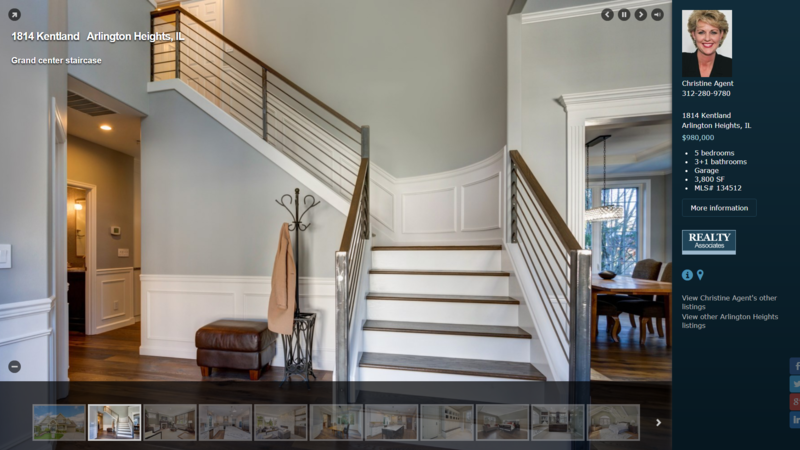 The virtual tour module has its own URL and ALL of its links are directed back to relevant pages on our clients' broker websites. VisTours are always available – from the moment a listing is imported or entered into AdMaster™. 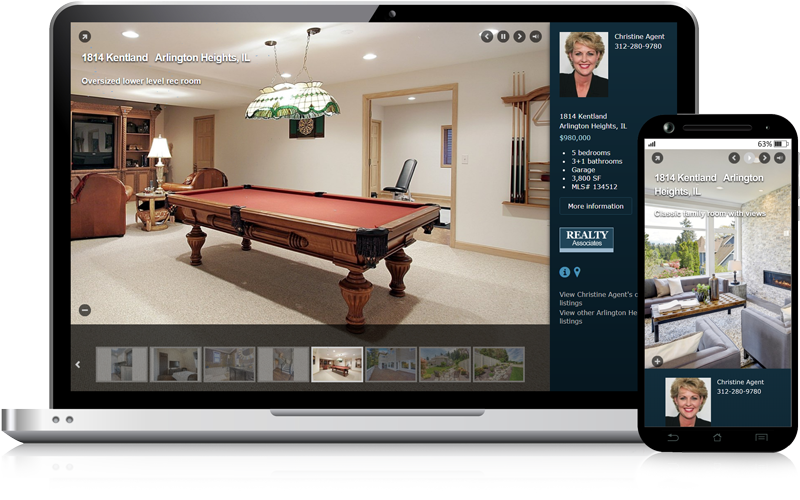 AdMaster™ VisTour virtual tours are built dynamically and incorporate updates, new images and open houses in real time. The responsive tours will play on any device from desktop to mobile, adapting their format accordingly. 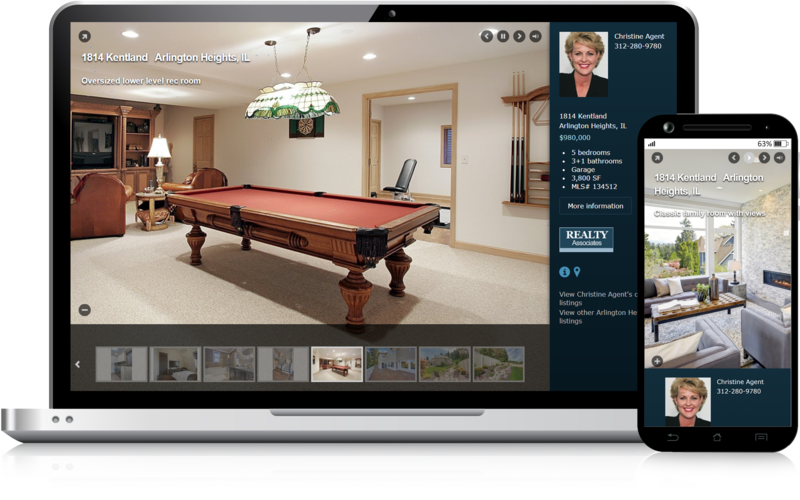 Stand-alone or as part of a larger presentation, AdMaster™ VisTour virtual tours are automatically incorporated in AdMaster’s listing syndication, and other online modules. AdMaster™ also generates an unbranded VisTour for MLS applications.